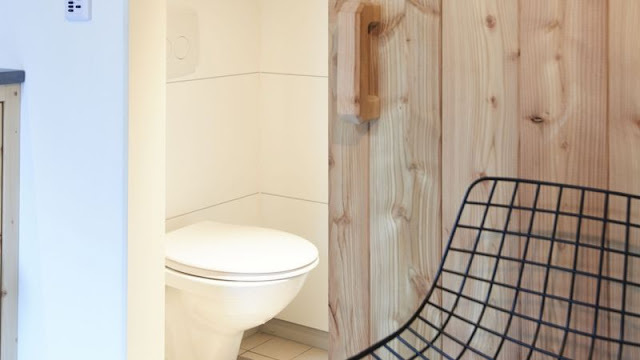 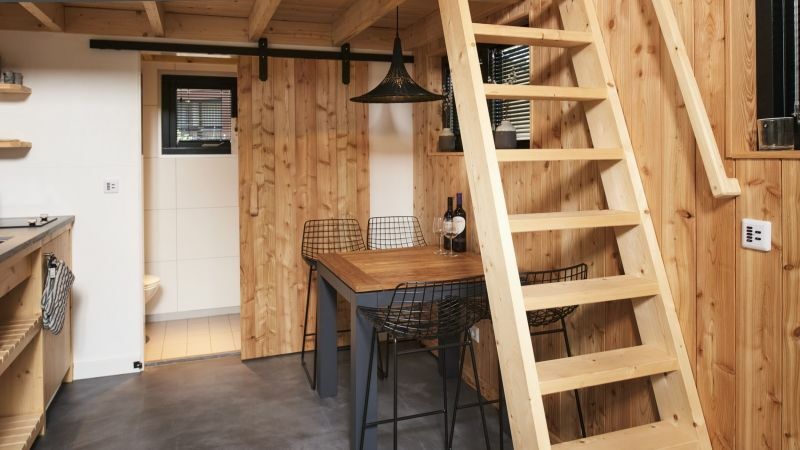 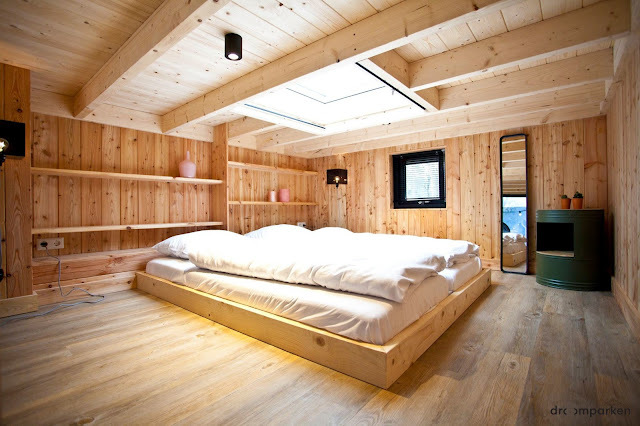 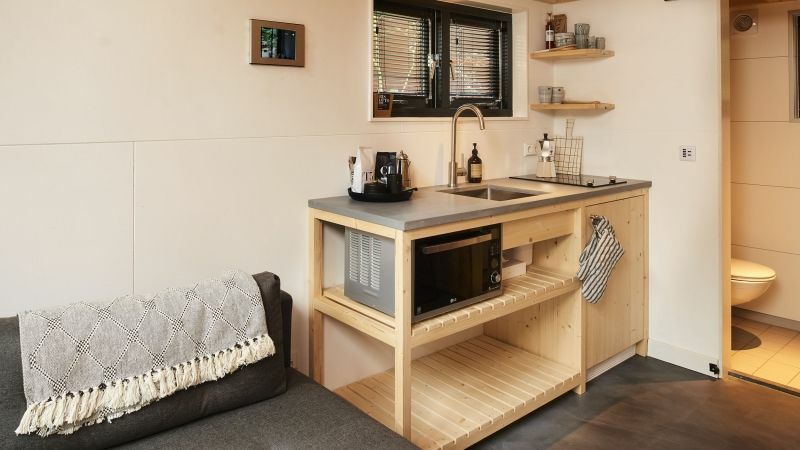 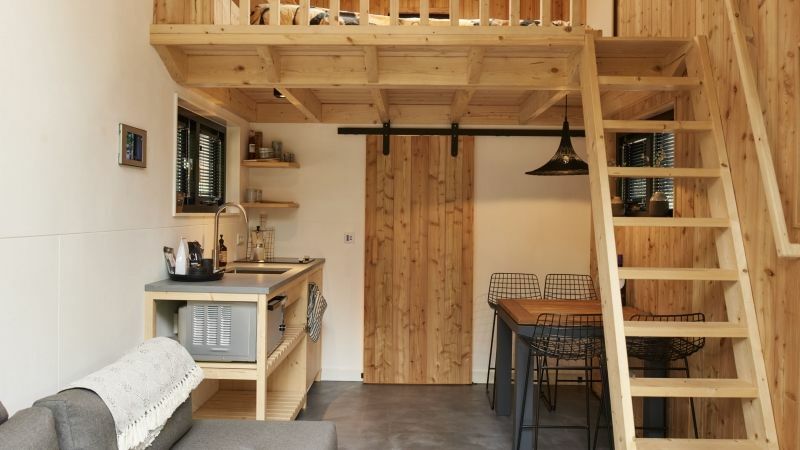 The Droomparken tiny house resort offers people a chance to try out tiny living for themselves. 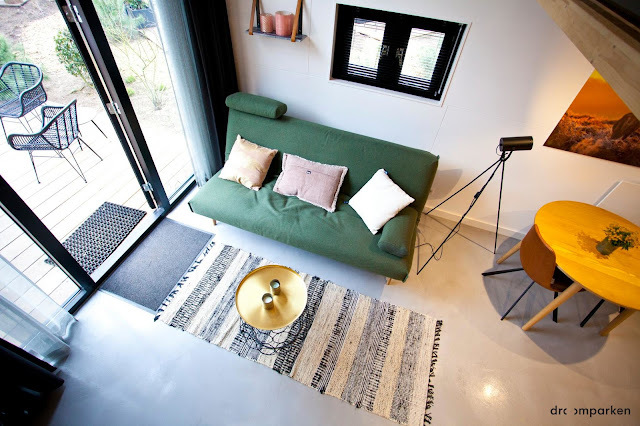 Based in the Netherlands, there are homes available for both sale and rent! 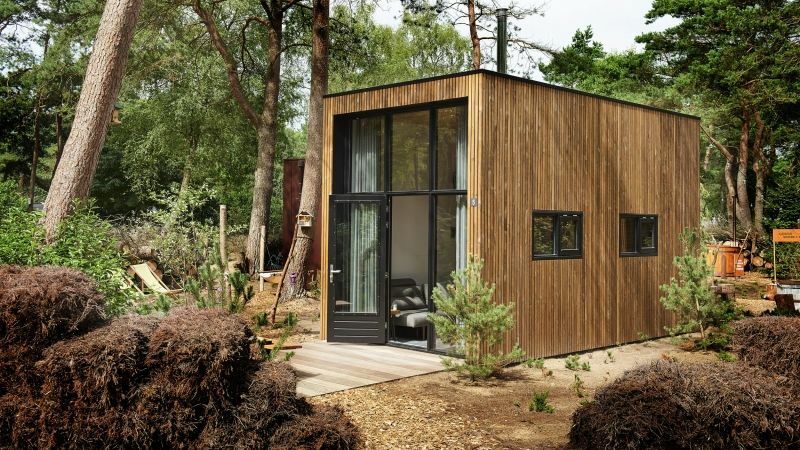 Pictured here is one of the tiny houses available at Droomparken's "Maasduinen" park; a modern home with a functional design inside. 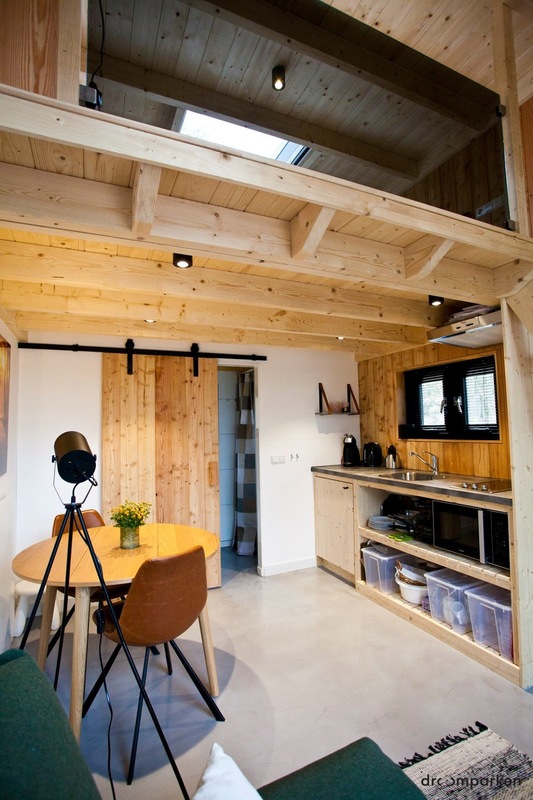 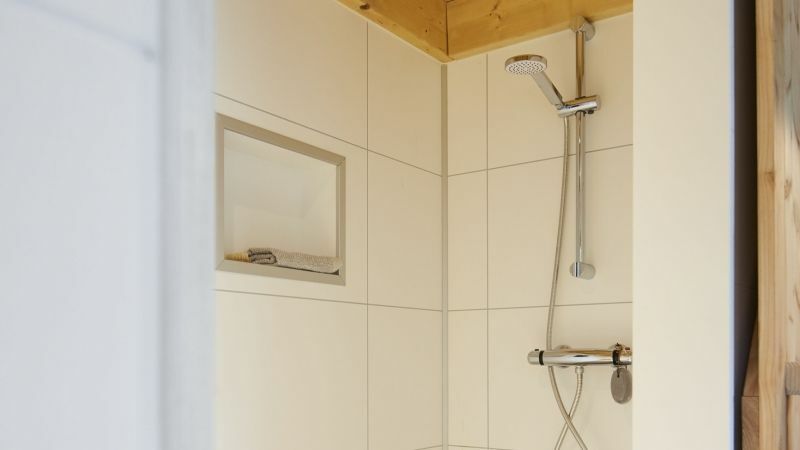 Made from eco-friendly materials, the home is low-maintenance and uses less energy! Interested in having your very own Dutch tiny house? 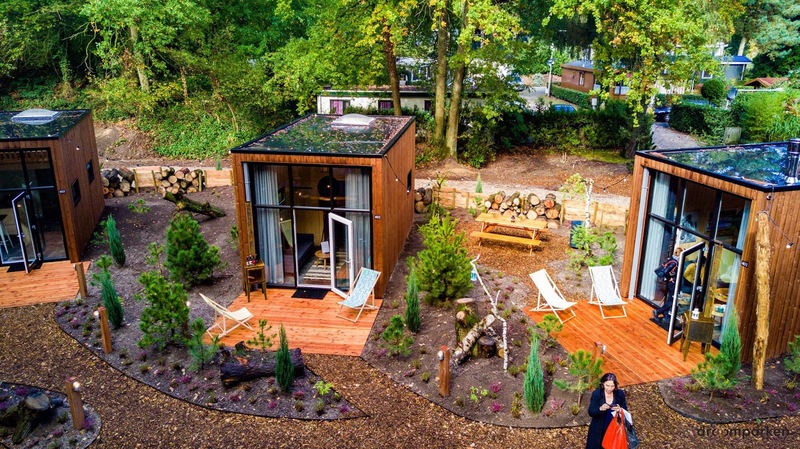 The Maasduinen is available for sale for €69,500 (around $85,475 USD). 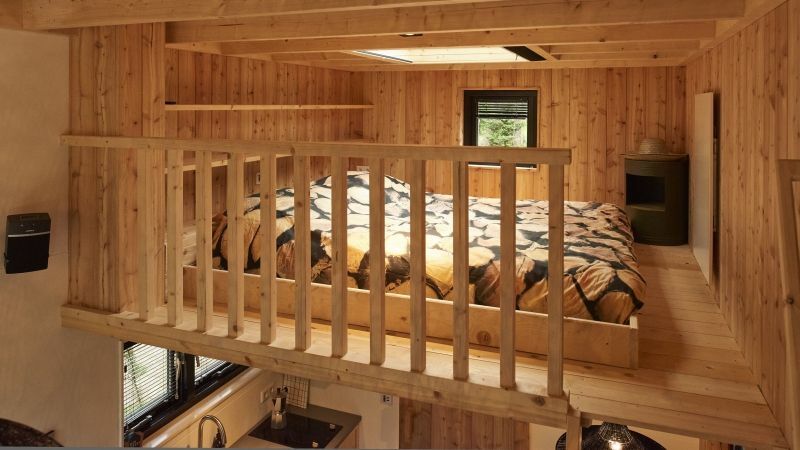 You can also just rent it for a few days here for €129 a night!